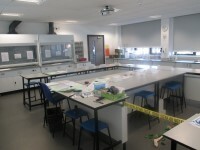 Services / facilities within the building include automotive and engineering workshops, animal management and science teaching rooms and labs. 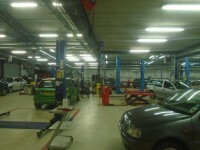 The automotive workshop is accessible to persons with mobility impairments by exiting the main building and then using the separate entrance. 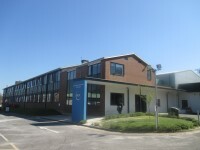 This venue is situated in the South Site. The nearest mainline station is Basingstoke. 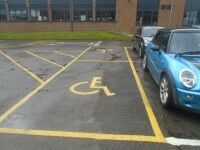 You are on Parking (Car Park 2). Skip to the next section. 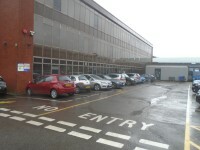 The car park is located to the left of the venue. 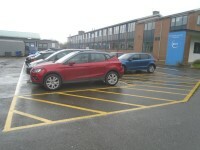 The dimensions of the Blue Badge parking bay(s) are 310cm x 560cm (10ft 2in x 18ft 4in). 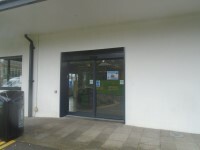 The furthest Blue Badge bay is 25m (27yd 1ft) from the main entrance. The ramp/slope is located in frotn of the entrance. 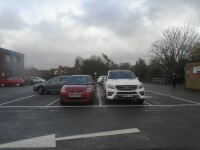 There is an easy slope leading to the entrance from the Car park which can be seen in photograph 2. This path only has a width of 120cm. 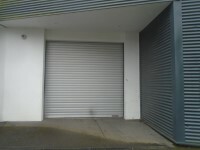 You are on Outside Access (Automotive Workshop Entrance). Skip to the next section. This information is for the entrance located to the right of the main entrance. You are on Level Change (Automotive Workshop Entrance). Skip to the next section. 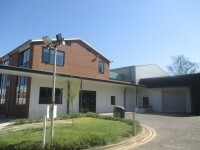 You are on Outside Access (Science, Animal Management and Maths Entrance). Skip to the next section. 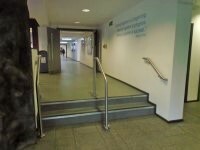 Please note this entrance leads onto the 1st floor. 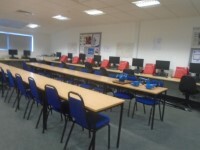 You are on Level Change (Science, Animal Management and Maths Entrance). Skip to the next section. The step(s) is/are located at the rear of the building. 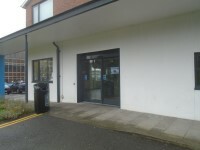 The ramp/slope is located on the left of the entrance foyer. 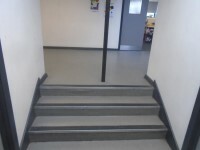 The step(s) is/are located on the right of the entrance foyer. 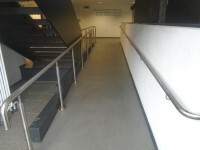 The ramp leads up to from the Foyer which is classified as Level G to the buildings Level 1. 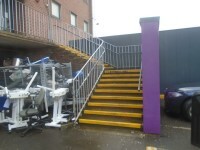 There is step free access to level 1 or any of it's facilities except via this level change. 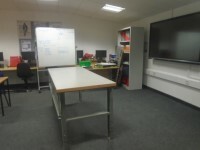 The desk/counter is 15m (16yd 1ft) from the main entrance. 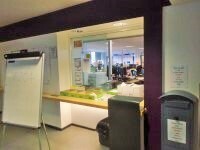 There is not level access to the desk/counter from the entrance. You are on Level Change (Automotive Workshops E002 - E003a). Skip to the next section. 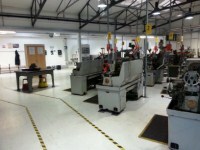 The step(s) is/are located off the level 1 corridor to the workshop. 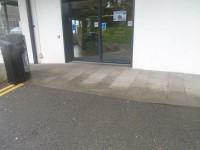 These steps can be overcome by using the separate entrance to the Automotive Workshop. You are on Level Change (Engineering Workshops E004). Skip to the next section. You are on Level Change (CAD/CAM Room & Welding and Fabrication Workshop E005 & E006). Skip to the next section. 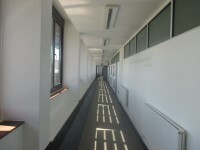 The step(s) is/are located at the far end of the level 1 corridor. 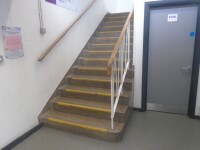 The floors which are accessible by stairs are levels 1-2. 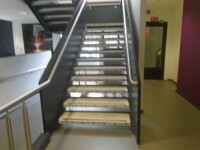 The stairs are located in front of you on entrance. 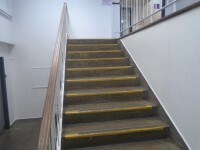 The stairs are approximately 20m from the main entrance. 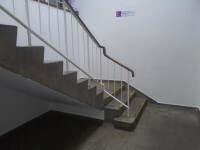 There are additional staircases located along the main corridor. The lift is located at the rear of the foyer, at the top of the ramp. 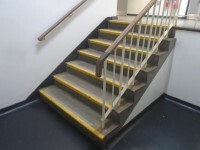 The floors which are accessible by this lift are levels 1-2. 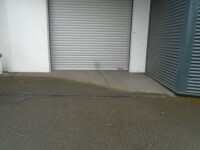 The lift is approximately 22m (24yd 2in) from the main entrance. 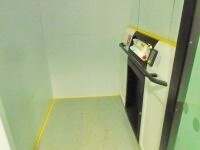 The dimensions of the lift are 150cm x 100cm (4ft 11in x 3ft 3in). 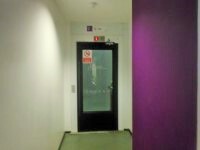 A key is required to operate this lift and is obtained by contacting the Estates department via the main reception in Building G.
You are on Standard Changing Room (Workshops). Skip to the next section. 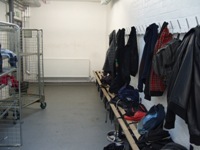 The standard changing room(s) surveyed is/are located off the ground floor corridor. There are separate male and female changing rooms located just outside the automotive workshops. 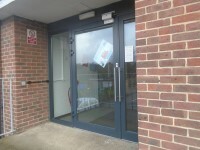 There is level access to these changing rooms from the Automotive Workshop entrance. 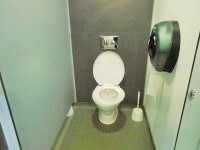 You are on Accessible Toilet (Entrance Foyer E001). Skip to the next section. 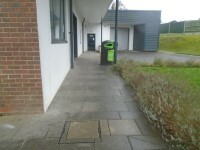 This accessible toilet is located on the right as you enter the building. 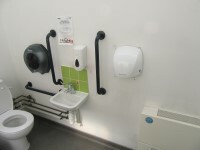 The dimensions of the accessible toilet are 154cm x 230cm (5ft 1in x 7ft 7in). You are on Accessible Toilet (E106). Skip to the next section. 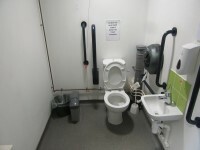 This accessible toilet is located off the corridor on level 1. 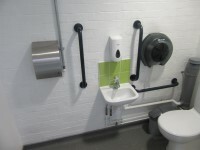 The dimensions of the accessible toilet are 180cm x 250cm (5ft 11in x 8ft 2in). 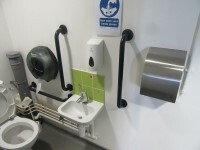 The height of the hand dryer is 108cm (3ft 7in). You are on Accessible Toilet (E207). Skip to the next section. 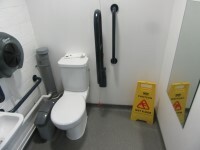 This accessible toilet is located to the left on exiting the lift. 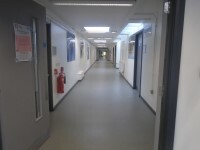 The female and male toilet facilities that were surveyed are located at the far end of the level 1 corridor. 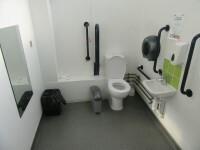 The female and male toilets are approximately 80m (87yd 1ft) from the main entrance. 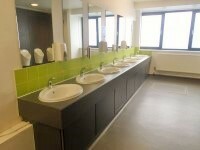 The toilets contain cubicles with doors that open outwards.